Her brothers; Poseidon, Hades, and Zeus. Two sisters; Hestia, and Demeter. Her children were; Eilithyuia the goddess of childbirth, Ares the Olympian god of war, Hebe, the goddess of youth, and Hephaestus, the Olympian god of Merallurgy. 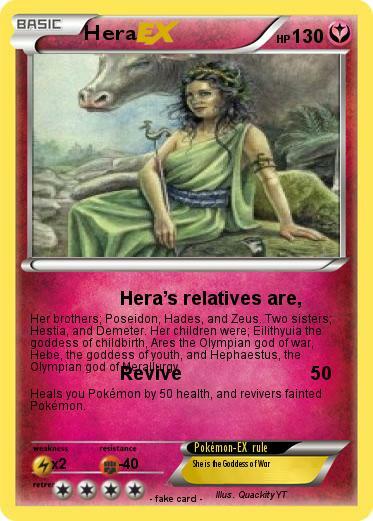 Heals you Pokémon by 50 health, and revivers fainted Pokémon.